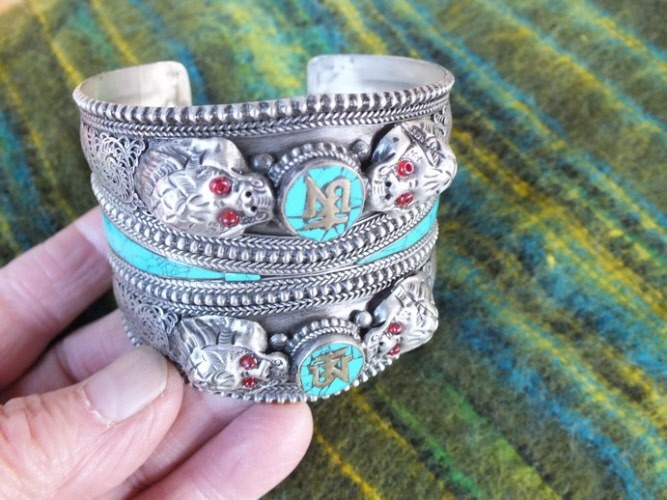 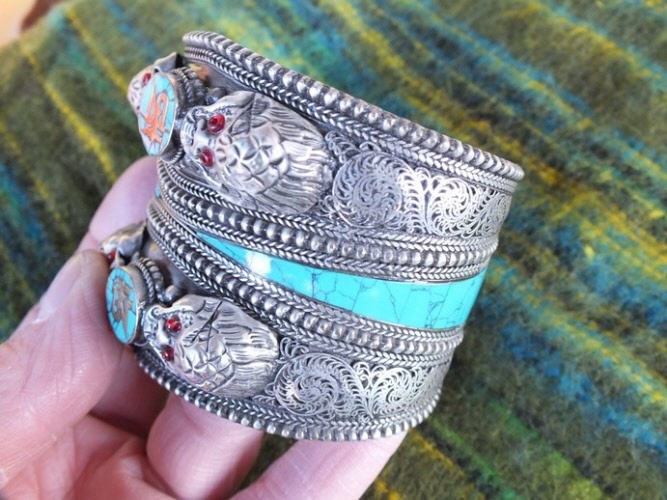 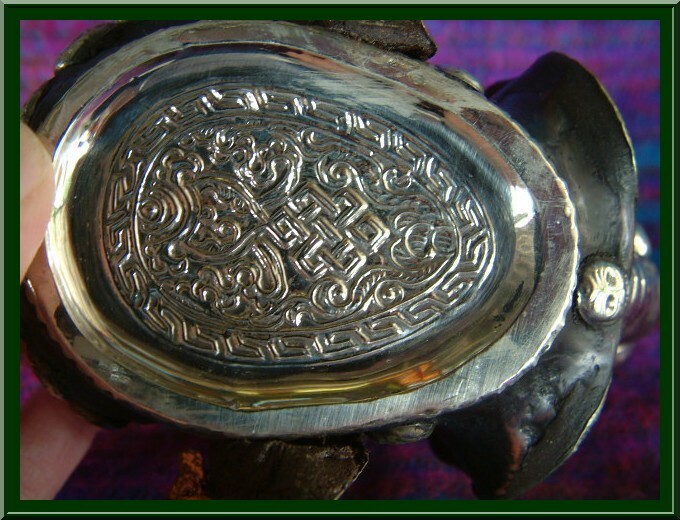 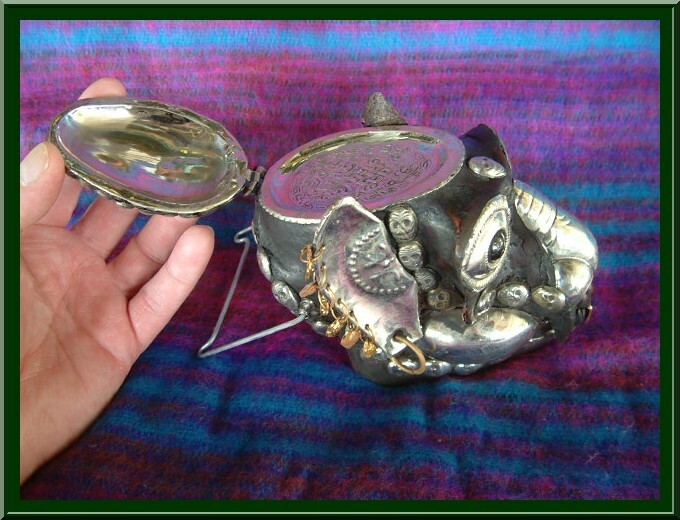 Large cuff / bracelet. 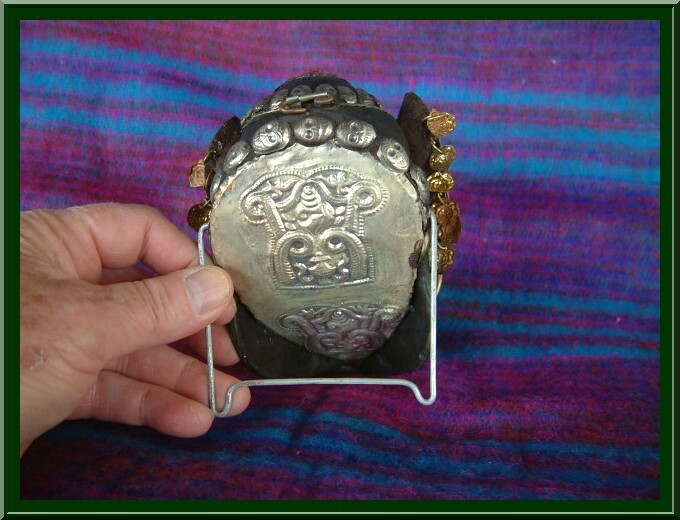 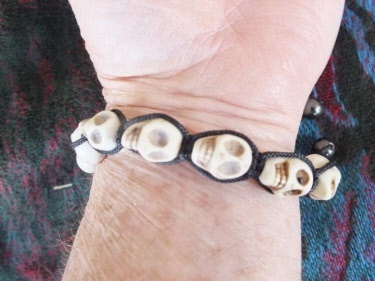 Has skulls and Tibetan Om Sign. 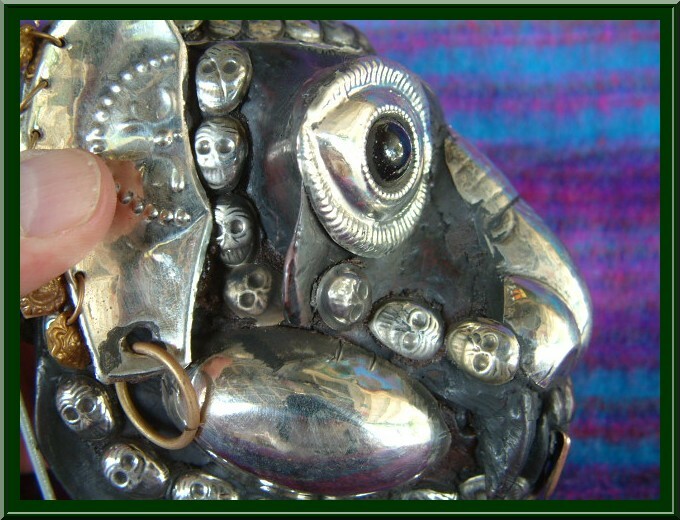 Red coral stones in the eyes of the skulls, and turquoise decoration, also great filigree work. 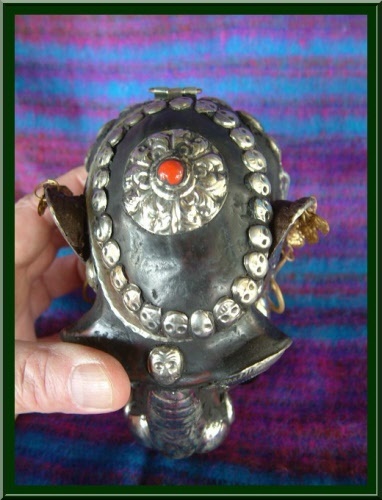 Click on the photo to see more views and close up photos. 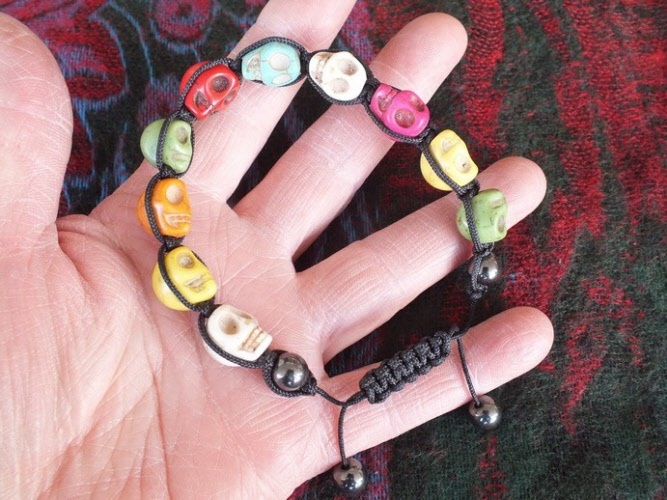 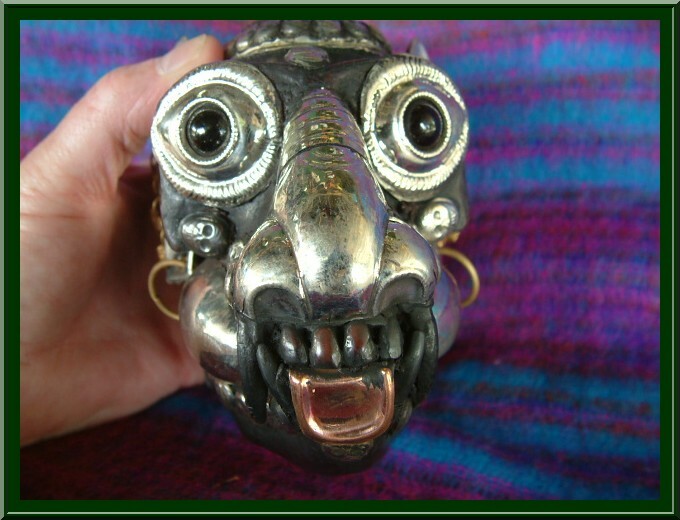 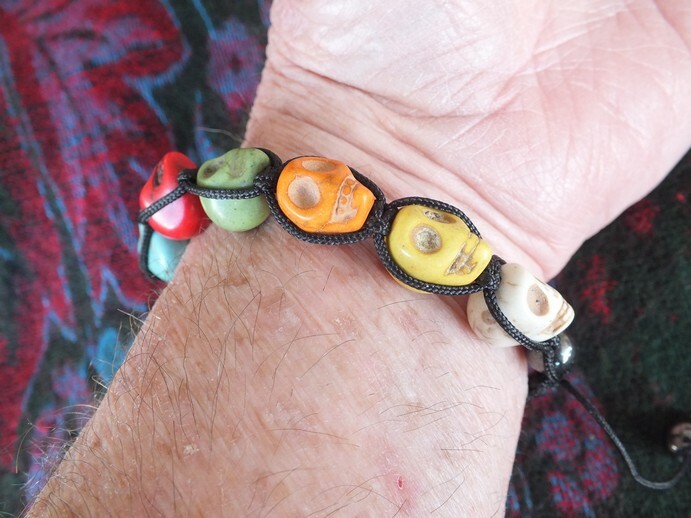 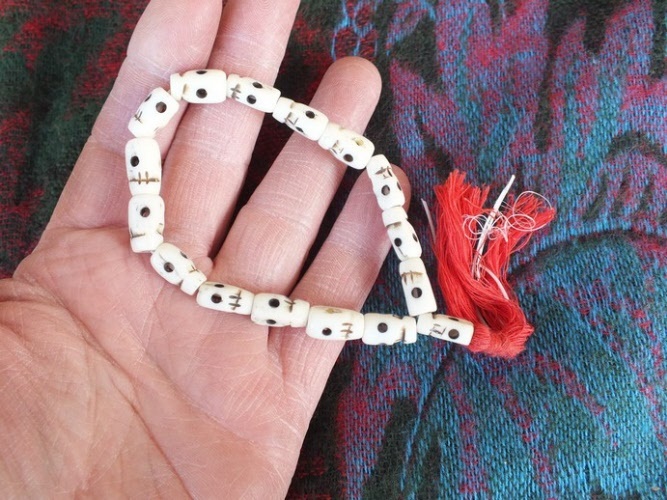 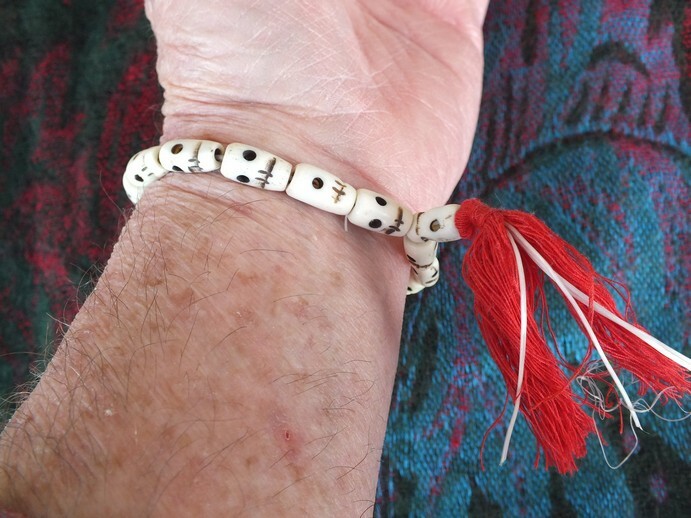 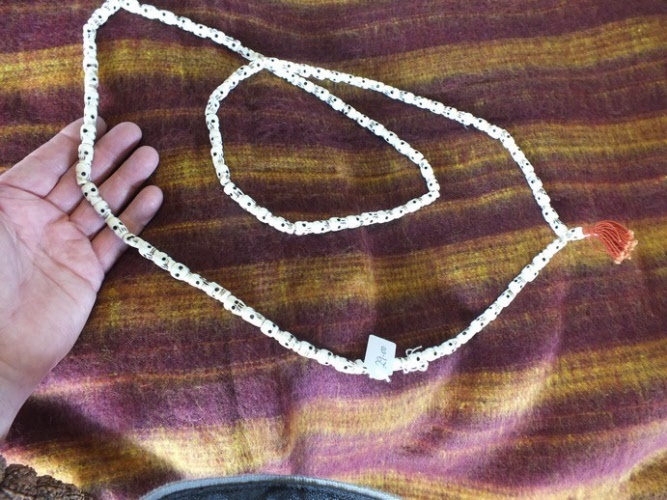 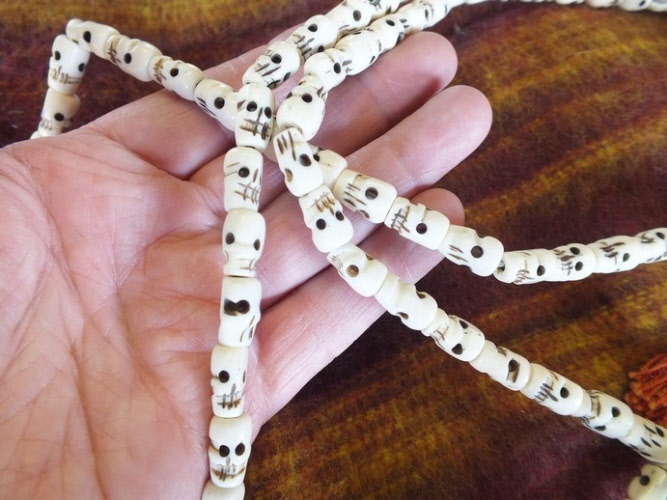 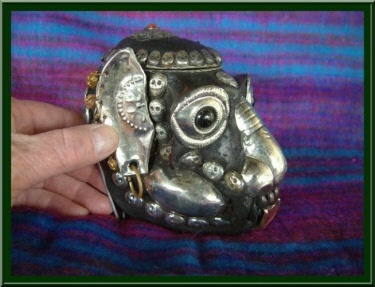 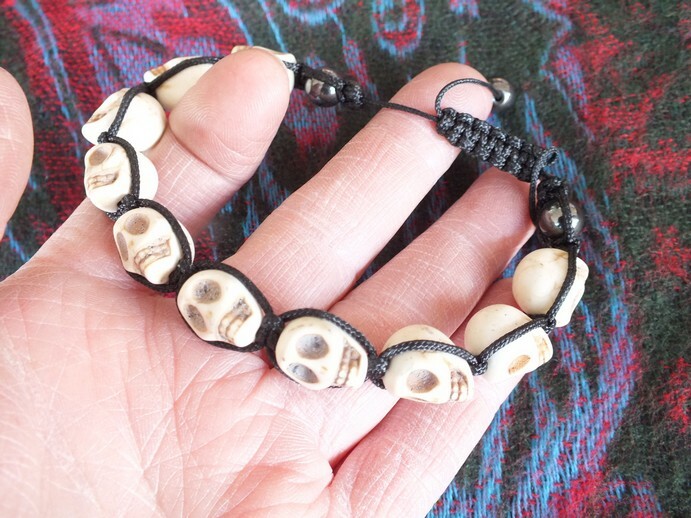 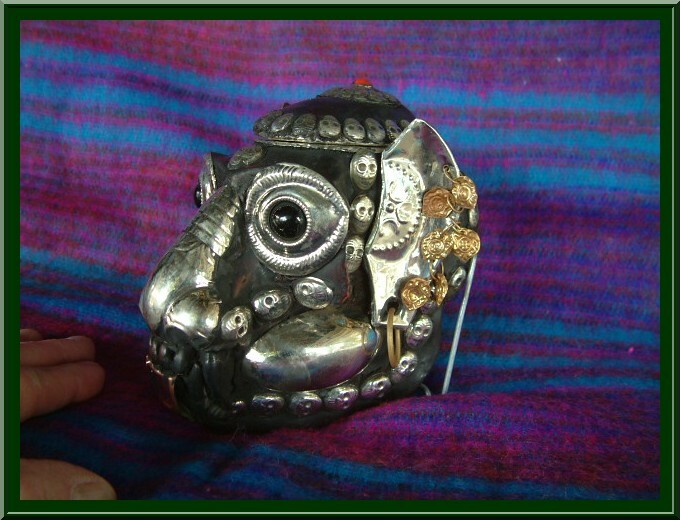 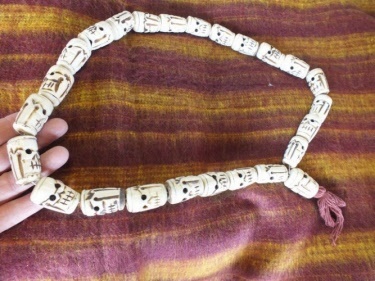 Skull Necklace made in Nepal, has large beads as pictured. 25 beads. 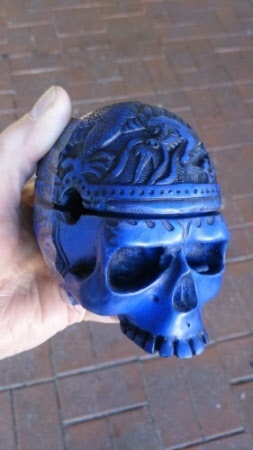 A great carving of a skull, crafted in India by professionals. 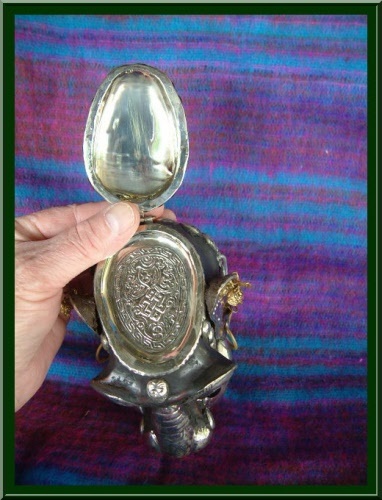 Click photo for more detail. 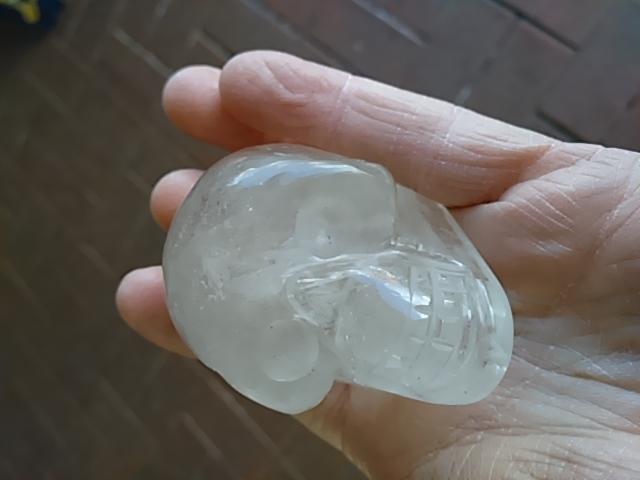 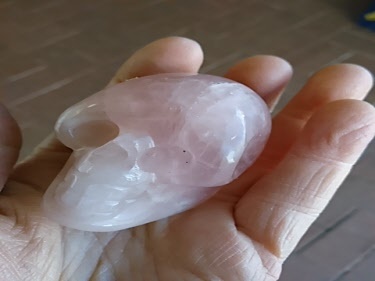 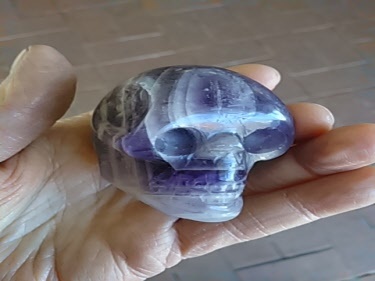 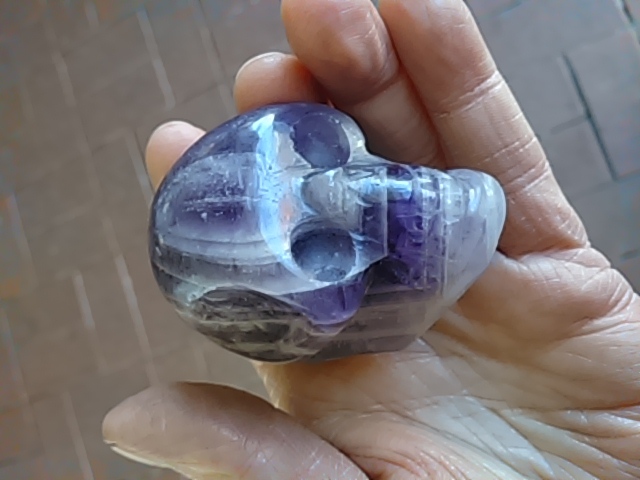 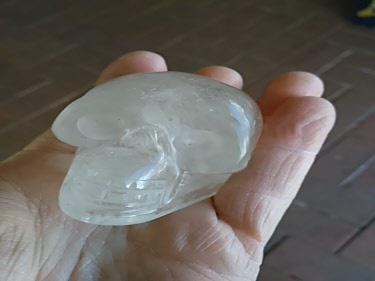 Great Quartz skull hand carved by professional craftsmen in India. 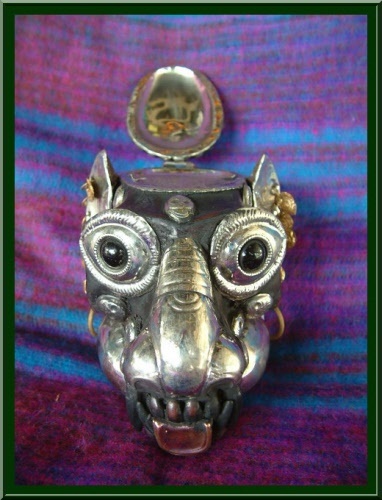 Carved by professional craftsmen in India. 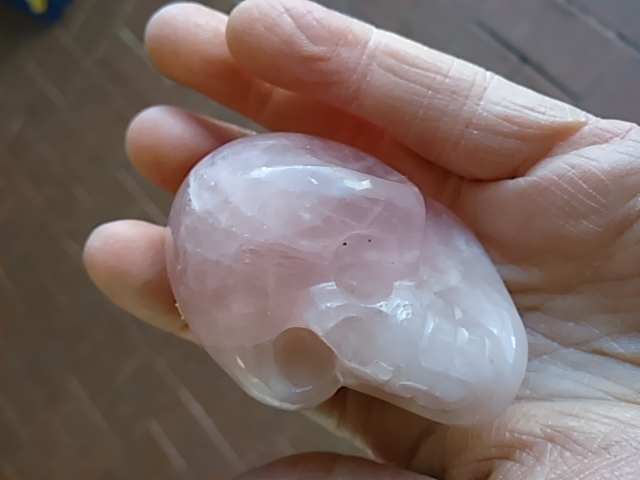 Made from genuine Rose Quartz Crystal.